Download Here Sealed quotations are invited from the Enlisted/Bonafide Contractors/Firms/Suppliers/Co-operative Societies for supply and installation of following Furniture Articles with accessories, fittings, fixing, polishing etc. Quotation should be addressed to the Dy. 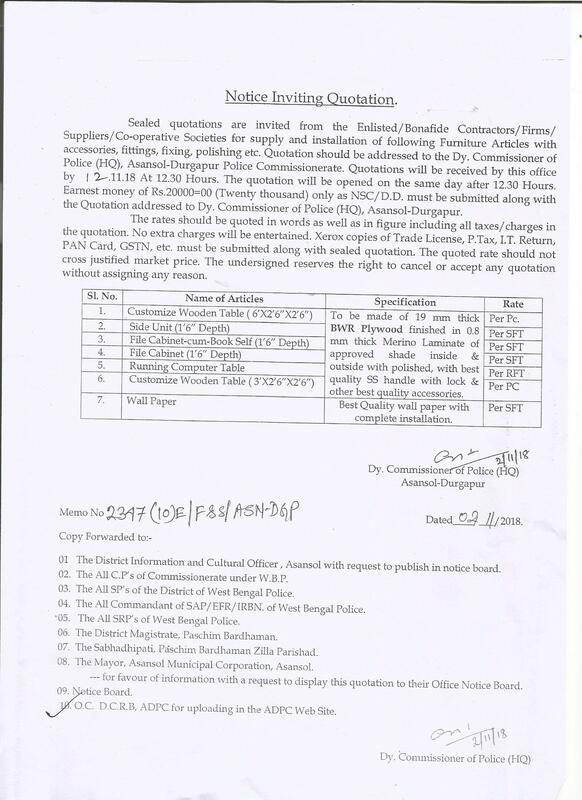 Commissioner of Police (HQ), Asansol-Durgapur Police Commissionerate. Quotations will be received by this office by 12.11.18 at 12.30 hrs. The quotations will be opened on the same day after 12.30 hrs.